Women play a pivotal role in the pastoralist way of life, assuming diverse responsibilities with regard to the livestock, the land and the household. In the course of their daily tasks, they have developed an intimate knowledge of natural resource management, which they put into practice for the benefit of both their communities and the environment. However, their knowledge and capabilities have not been fully recognized, and they are often excluded from the decision-making process. What women have in abundance, however, is resourcefulness and adaptability, as demonstrated in these stories. Given the chance, they have proven highly capable of finding alternative sources of income, particularly during periods of intense drought in the drylands, and of acquiring the necessary skills to do so. 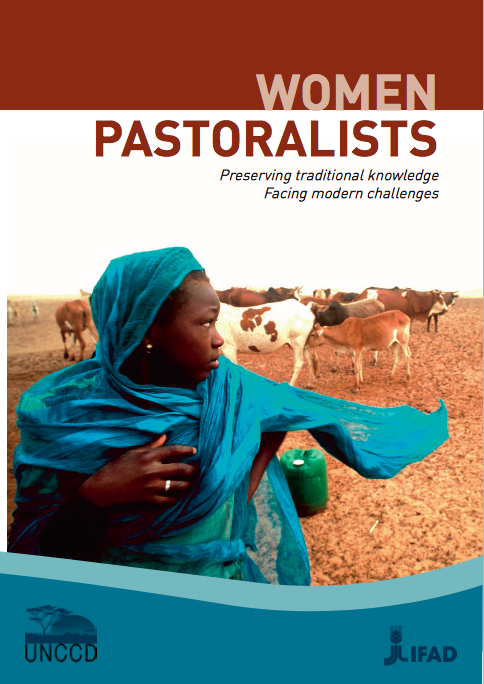 This publication illustrates that as keepers of traditional knowledge, women pastoralists make an important contribution towards the sustainable management of land and natural resources the world over. It also suggests that with the right support, they can meet the challenges that lie ahead.